You can hardly go wrong with LEGO sets for wholesome, educational fun for kids when the weather demands indoor activities. 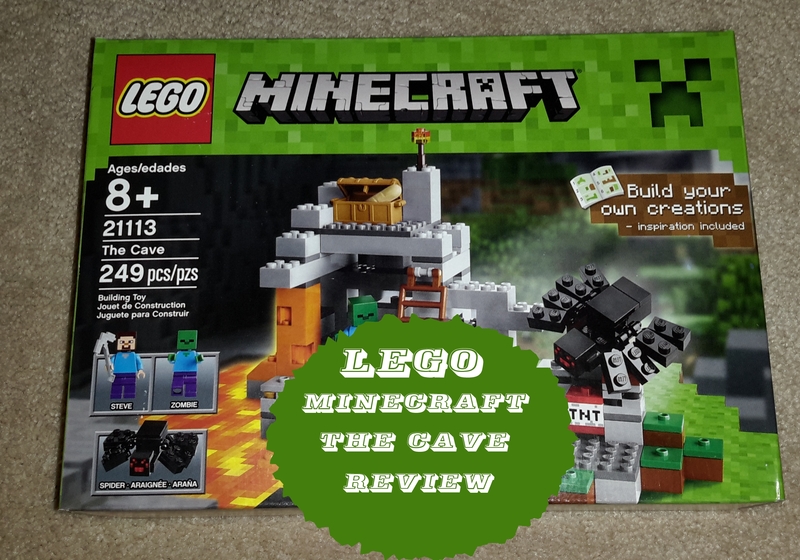 If your kids are huge Minecraft fans like mine, they’ll absolutely love LEGO Minecraft The Cave . LEGO Minecraft The Cave, aimed at children aged 8 and over, includes LEGO figure Steve with a scary zombie plus a huge spider. Steve uses TNT and a pick axe for mining minerals to combine with lava and create obsidian. He tussles with the spider and zombie and gets his energy back with bread. 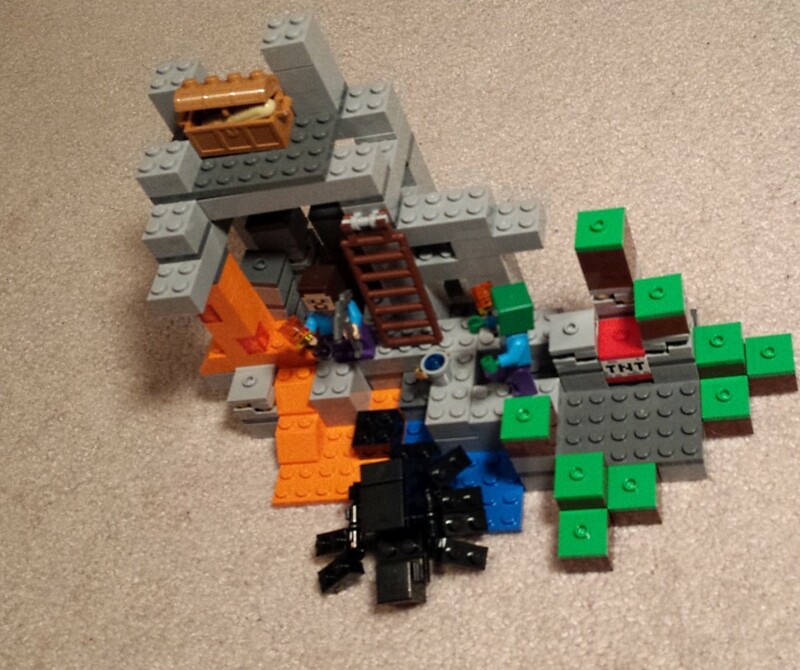 My 10-year-old daughter put together the LEGO Minecraft The Cave set over the course of two evenings, taking around two hours total to complete the construction. The resulting Minecraft world measures 5 inches by 8 inches by 5 inches and can be combined with other LEGO Minecraft sets, such as The Mine (with 922 pieces and retailing for $109.99), The First Night (with 408 pieces and costing $38.99), The Ender Dragon (with 634 pieces and retailing for $69.99) and The Farm (with 626 pieces and costing $29.99). 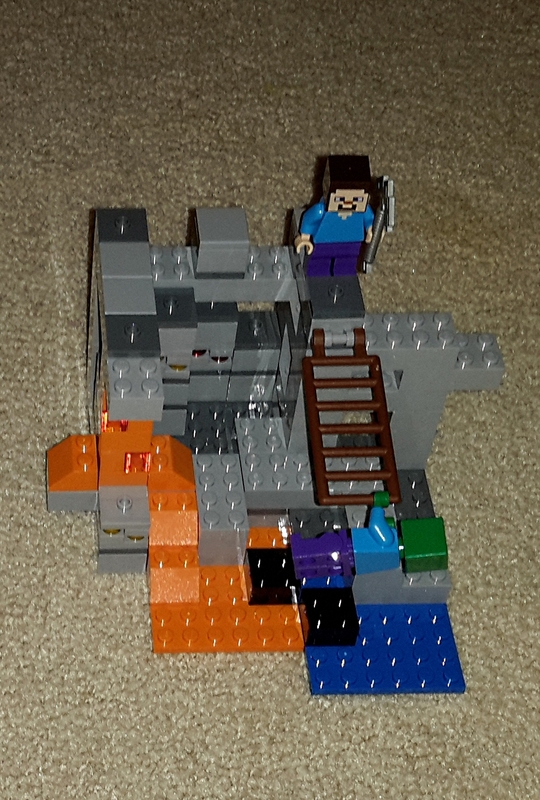 LEGO Minecraft The Cave includes 249 assorted LEGO pieces and features lava, coal, iron, obsidian, TNT, a torch, a ladder, a waterfall and gold. 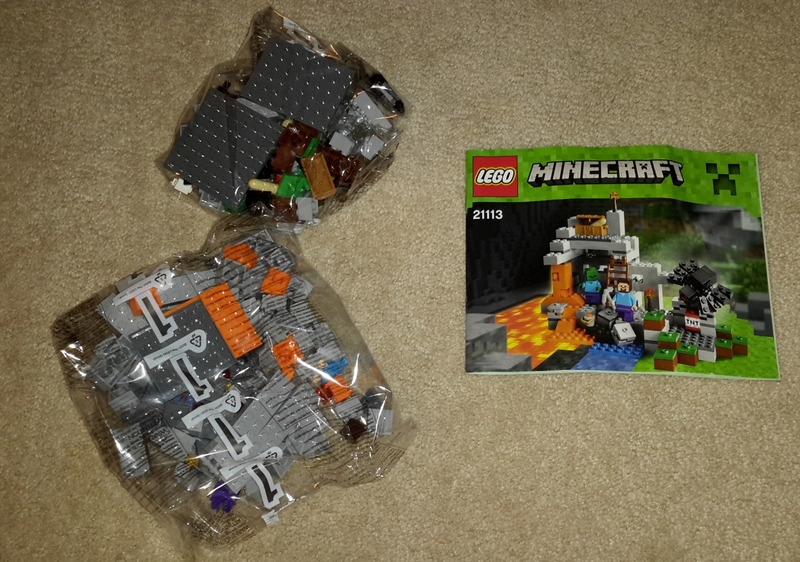 Like other LEGO sets, The Cave comes with detailed assembly instructions. Putting together LEGO sets helps kids learn to follow written instructions and enhance their fine motor skills. 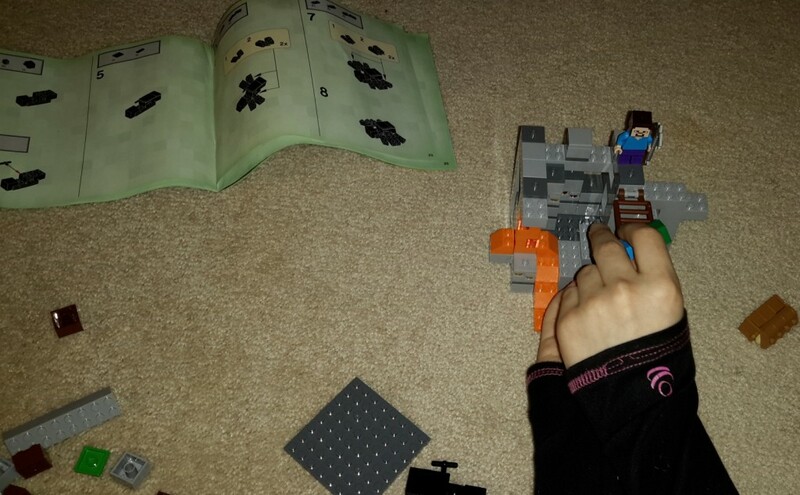 My five-year-old daughter loves LEGO sets, but doesn’t quite have the manual dexterity (or patience) necessary to do the assembly on her own. She prefers playing with the figures and the completed constructions. She’s very fond of the Jeep and helicopter from the LEGO Jungle Friends Bridge Rescue set. Parents can lend a hand to LEGO set builders by helping to sort the pieces by color and size. They can also sign up their LEGO fan youngsters for a free LEGO Club membership, complete with an attractive, full-color magazine subscription. I had just received the demo product in return for this honest review and had to buy an identical set as a birthday gift for my daughter’s good friend. He ended up receiving several other LEGO Minecraft sets for his birthday and had loads of fun putting them all together. Free Valentine Printables For Boys and Girls: Minecraft and More!